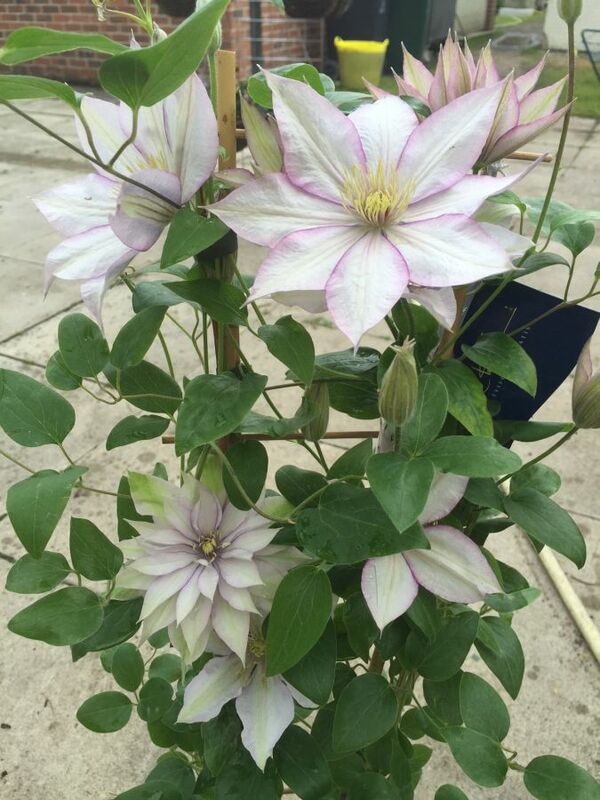 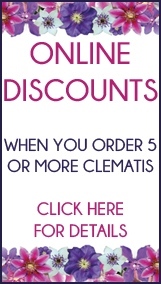 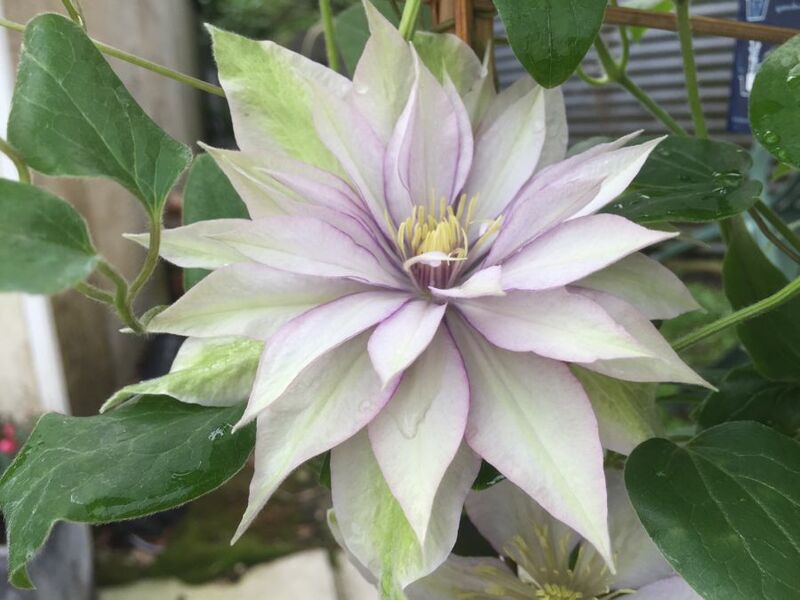 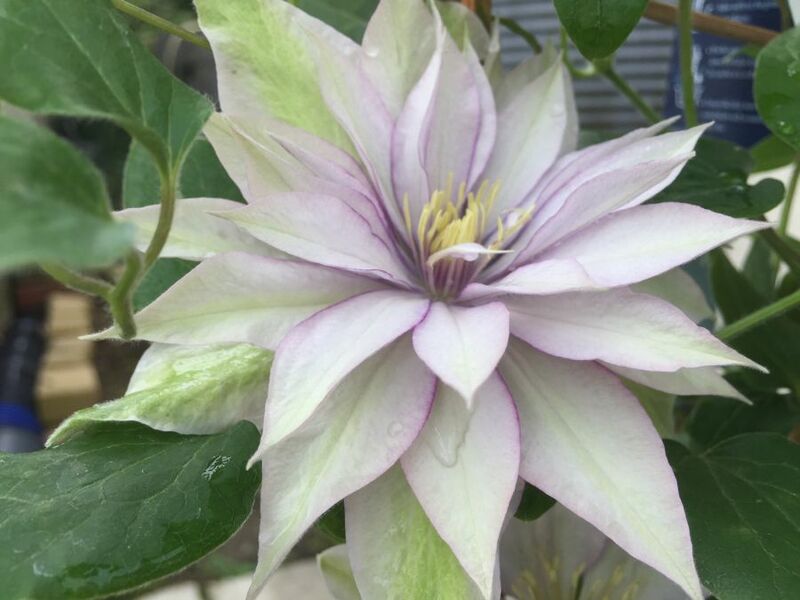 Clematis Samaritan Jo is a very striking clematis with the pointy sepals and the pink margins.. very classy!.. Clematis Samaritan Jo also flowers for 6 months and will reach heights of around 4 feet. 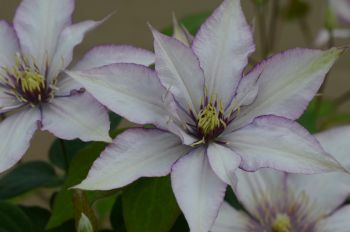 Clematis Samaritan Jo can also flower in semi-double form (look close at the pictures below) randomly (not many clematis do this). 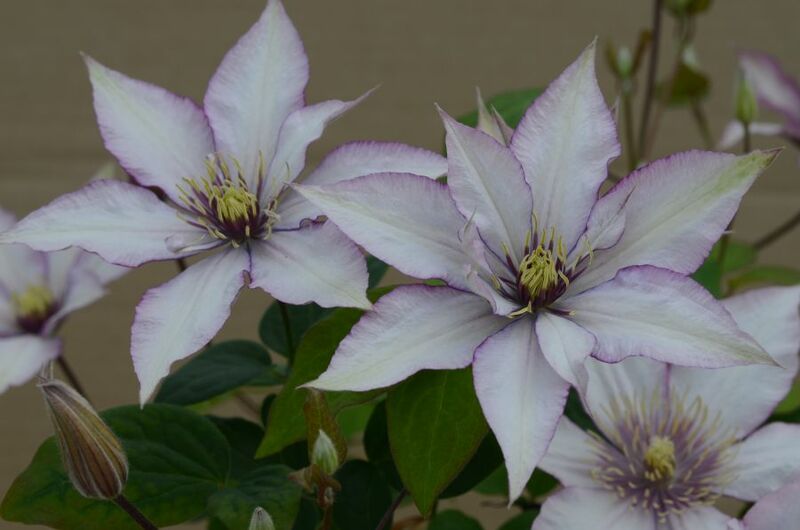 Launched at Chelsea 2013.